Brad Pitt, Angelina Jolie and their children rented an entire train to transport them to Glasgow last week, they were headed for their temporary home – our very own historic Carnell Estate in Ayrshire, Scotland. The family have taken up residence at our 16th century Manor while Brad Pitt is working on his action film World War Z in Glasgow. 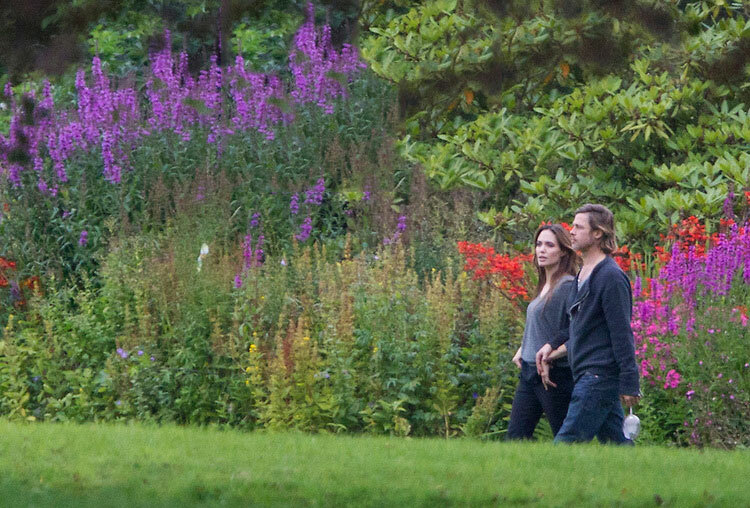 Brad Pitt and Angelina Jolie’s six children have been pictured enjoying tour estate’s sprawling ten acres of gardens with their mother and a nanny in recent days while Brad is busy on set. The film is the talk of Glasgow with whole districts being shut off while the crew transform the Scottish city into Philadelphia. Today a whole area of the city was shut down as the action scenes began to take shape. American road signs and street names were put up while yellow taxi cabs and white police cars lined the streets as Philadelphia came to life. Local people have been recruited as zombie extras and Glasgow City Council said the production will involve almost 1,200 people and the impact on local economy is expected to be more than £2 million. ©2016 Carnell Estates. All rights reserved.